AC Hotels by Marriott, Marriott International’s European-inspired lifestyle brand, announced the opening of AC Hotel Cape Town Waterfront marking the debut of the brand in Middle East and Africa. Owned and developed by the Amdec Group, the hotel demonstrates the sophisticated and timeless European design that is true to the AC Hotel brand, interpreted for its Cape Town location. 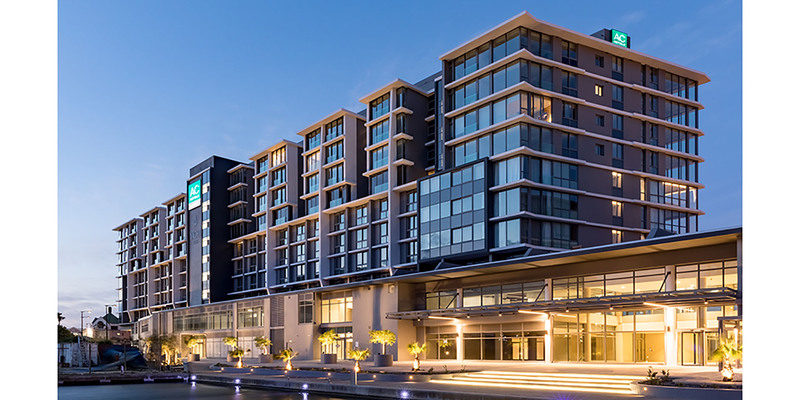 Conveniently located just minutes away from the buzzing Victoria & Alfred Waterfront, the hotel is just a 25-minute drive from Cape Town International Airport within the city’s thriving central business district. AC Hotels by Marriott®, a lifestyle brand that celebrates a new way to hotel complemented by a European soul and Spanish roots, boasts more than 120 design-led hotels in 15 countries and territories. Design-driven AC Hotels by Marriott® edit away the unnecessary to remove friction, providing thoughtfully designed moments of beauty, allowing guests to focus on what’s important to them. The properties modern design for modern business include buzzing AC Lounges, the perfect place for locals or visitors to get work done in style or to enjoy handcrafted cocktails and tapas. High-design guest rooms and public spaces with sleek furnishings and intuitive technology features such as the Media Salons and AC Libraries inspire and connect. AC Hotels by Marriott® is proud to participate in the industry’s award-winning loyalty program, Marriott Rewards® which includes The Ritz-Carlton Rewards®. Members can now link accounts with Starwood Preferred Guest® at members.marriott.com for instant elite status matching and unlimited points transfer. For more information, visit ac-hotels.com. For more information, visit http://achotels.marriott.com and follow us on Facebook, Twitter, and Instagram. Founded in 1989, the Amdec Group is a privately-owned property development and investment business recognized as South Africa’s leading developer of New Urban lifestyles. Their prestigious portfolio includes the iconic Melrose Arch in Johannesburg, The Yacht Club and Harbour Arch in Cape Town, Westbrook in Port Elizabeth, Val de Vie and Pearl Valley in the Cape Winelands, as well as numerous Evergreen Lifestyle Retirement villages across Gauteng and the Western Cape. The Amdec Group is active throughout South Africa as well as having offices in both the United Kingdom and USA.